Tim Duncan is 42 and retired two years ago, but he can still school defenders on the block. Duncan was at the San Antonio Spurs practice on Tuesday, showing some of the young Spurs players about post defence and offence. Gregg Popovich joked that Duncan works harder now than he did with the Spurs. 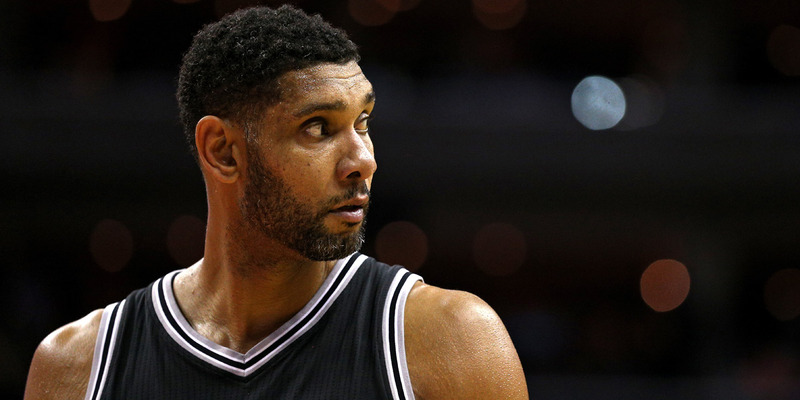 Tim Duncan may have retired from the NBA two years ago, but he hasn’t lost any of his old-school, fundamental moves. The 42-year-old Duncan, who still works with the Spurs, was seen on Tuesday teaching the Spurs’ young big men a thing or two about post defence. Duncan first fooled a defender (it’s unclear who from the angle) with a fake toward the paint before spinning back to his right for a little shot off the glass. On the next round, he first took a different defender to the rim but missed. On the second go-around, he hit a classic Duncan jumper off the glass. Spurs head coach Gregg Popovich couldn’t resist throwing a jab at Duncan.